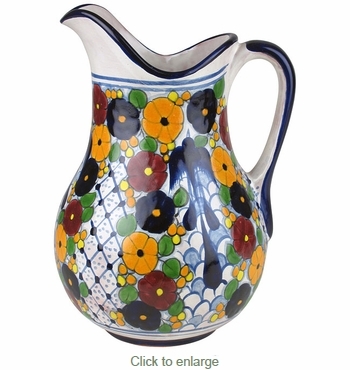 This talavera pitcher, handpainted in the swallow pattern, is lead-free and safe for serving drinks and using as dinnerware. Talavera is dishwasher safe. All of our Mexican Talavera dishes and serving pieces are handmade and hand painted by Mexico's talented potters.